My two-hole bead Brocade Bracelets pattern has a sister! 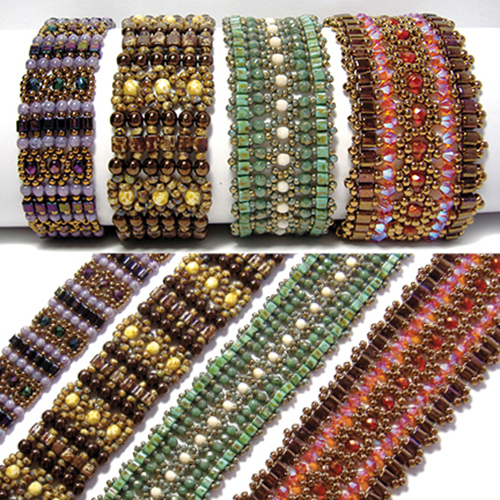 The Cube Brocade Bracelets pattern uses NO two-hole beads at all. Instead, use size 11 seed beads, "any" type size 3mm beads and 3mm cube beads to make a band or wider cuff (separate directions for each), OR use size 8 seed beads, "any" type size 4mm beads and 4mm cube beads to make some fatter bracelets using the same step-by-step, fully illustrated instructions.